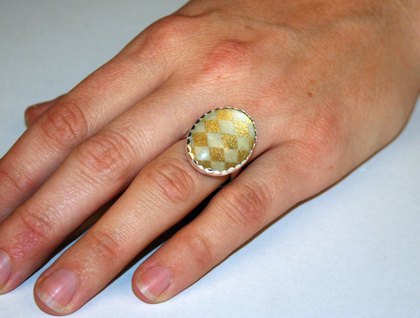 This dome / bubble ring is sure to grab admiring glances. 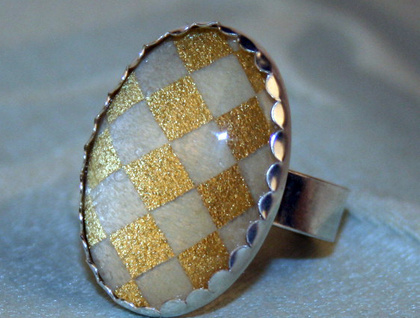 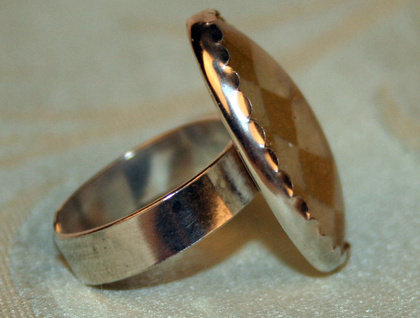 I've taken an amazing shimmery piece gold checkered print Japanese paper, sealed it onto the under side of crystal clear glass dome (cabochon), and then set it into to this sterling silver bezel cup that I've soldered onto a handmade sterling silver band. 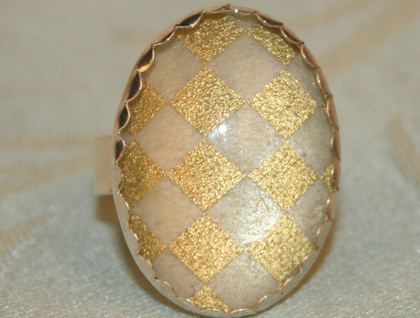 The glass dome measures 18mm x 25mm. 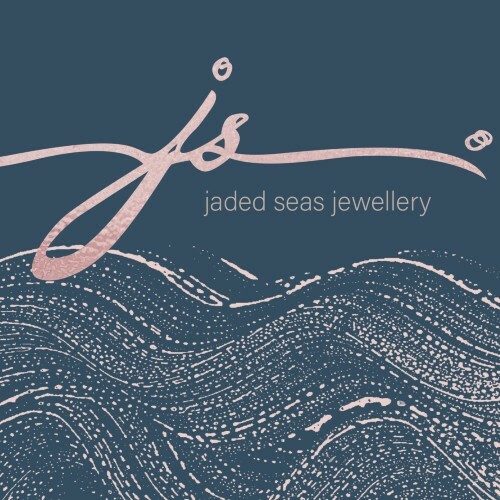 thanks for visiting Jadedseas designs, and feel free to ask any questions!